Way back in November 2012, I was privileged to be included in the Twist Collective Winter 2012 issue. 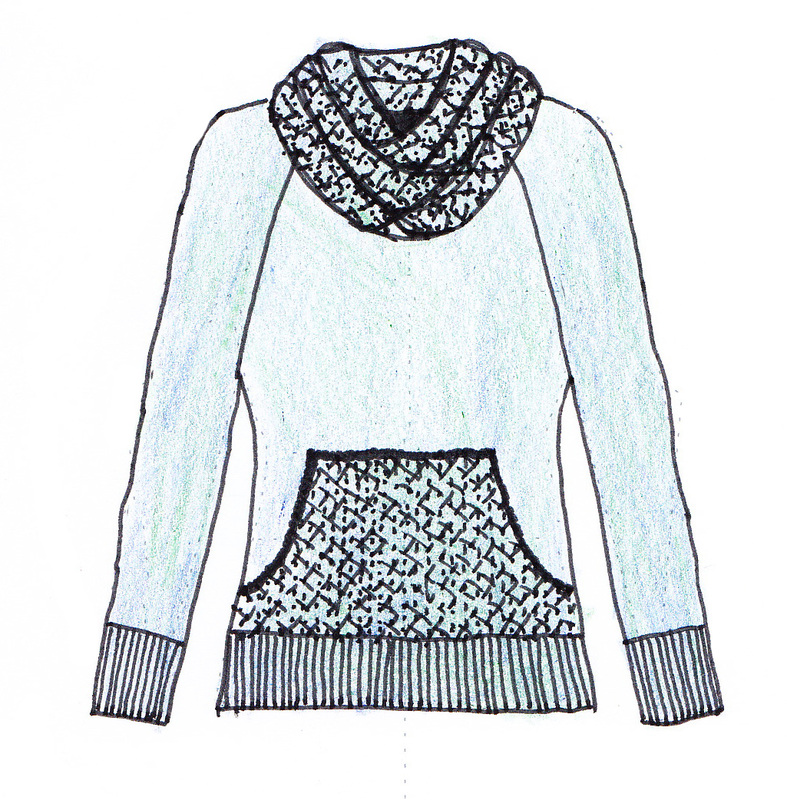 My design was ‘Luggala’, a long-line jumper / sweater / pullover with a lacy cowl neck and kangaroo pocket. A few years ago when I was keen to start knitting again, but tired of unflattering, outdated patterns, I did an internet search for things like ‘modern knitting patterns’ or ‘trendy knitting patterns’ or something similarly cheesy. This was when I came across Twist and specifically, their Fall 2009 issue. And I fell in love. The ‘Bus Stop‘ story completely won my heart and it wasn’t long before Ysolda’s Vine Yoke Cardigan was on my needles. I had found an up-to-date, fashionable, beautiful source of knitting patterns! Yay! So when I decided to give designing a go, I knew exactly where I wanted to start – Twist! Aim high, I thought! When I submitted my design proposal back in April 2012, I had never designed anything before, let alone prepare a submission. I can’t tell you how excited I was when I found out it had been accepted and then to finally see it in print last November. I wanted to create a cosy Winter garment that would keep the wearer warm without being to bulky or heavy. So I designed a fitted, slightly long length jumper. Raglan sleeves, because they’re may favourite and always flattering. To keep it warm and cosy, I added a cowl neck, but in lace, to keep it light and feminine. The final touch, to make it a little bit different and fun, was the kangaroo or hoodie style pocket. I added this to have a high of casual, comfy styling, but again it’s knit in lace to keep things light and feminine. In the submission sketch, I just drew it simply with skinny jeans / leggings, which is how Twist styled it too in the end! I’m no fashion artist and I’ll let you in on my secret tool – Fashionary templates. I hope you like Luggala which can be bought directly from Twist Collective. Finally, a note on the name. ‘Luggala’ is a place in Co. Wicklow, Ireland, where I spent many Summers as a child. Enjoy a few pics. Lots more on Flickr.